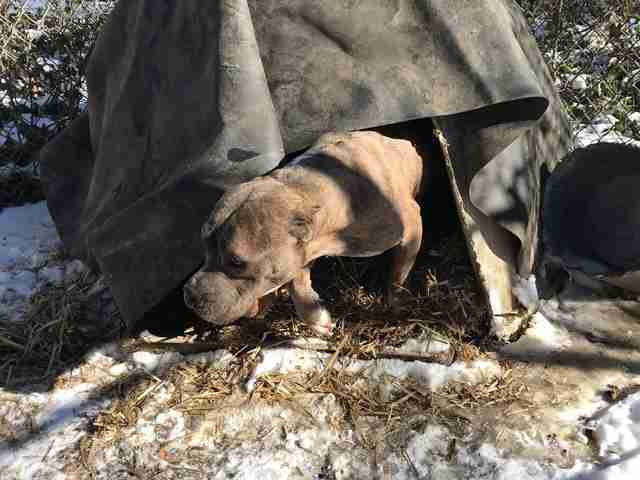 It was an unbelievably cold week in Virginia in January when rescuers first laid eyes on June. The yard she lived in was covered in snow and her only shelter was an old tarp. 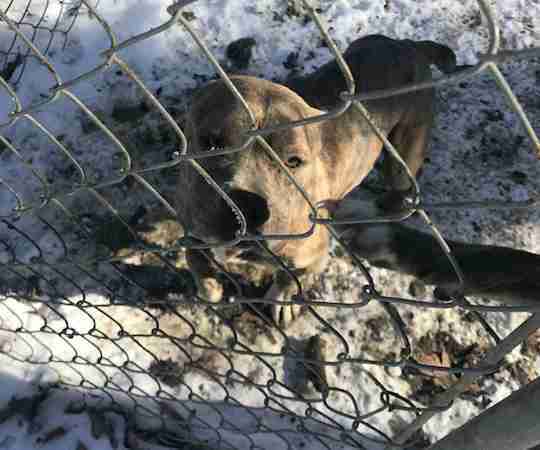 She and five other skinny dogs called the barren lawn home, forced to live in the brutal cold with little to no food or water. Her swollen belly and teats almost touched the ground from being continuously bred over the years. She was missing an ear, and her tail was broken in two places. The 8-year-old dog had lived a lifetime of suffering — but she was still so loving and gentle to everyone. She had seemed to never lose hope that life would someday get better. 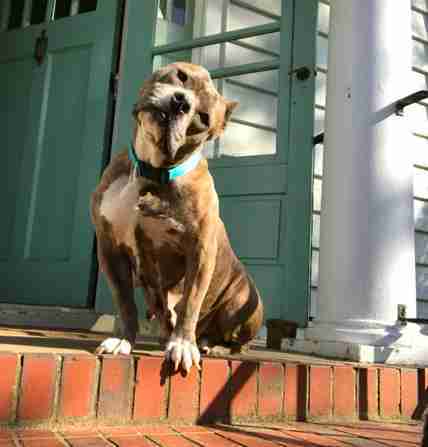 Grace was visiting the property on an outreach trip with Gracie’s Guardians, an initiative through the Richmond Animal League that helps pit bull owners in low-income communities provide care for their pets. In Virginia, it’s legal for dogs to live on a chain outdoors as long as they’re given adequate food, water and shelter. June and the other dogs had none of these. 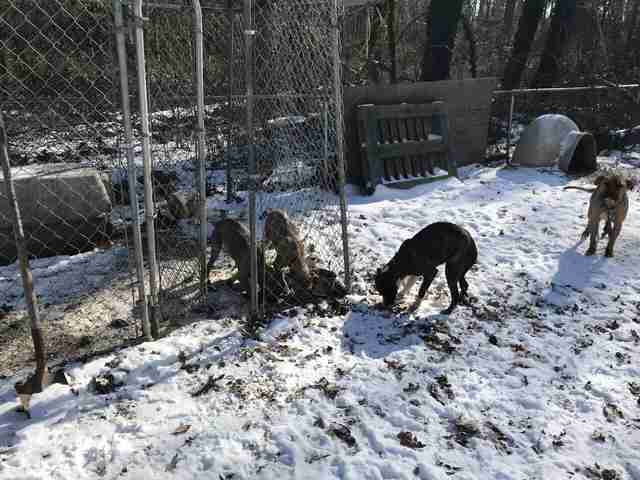 Animal control eventually got involved in the situation and each of the dogs, including two young dogs believed to be June’s puppies, were seized a few weeks later. Grace knew right away she wanted to take June in as a foster. As expected, the dog was in terrible condition. 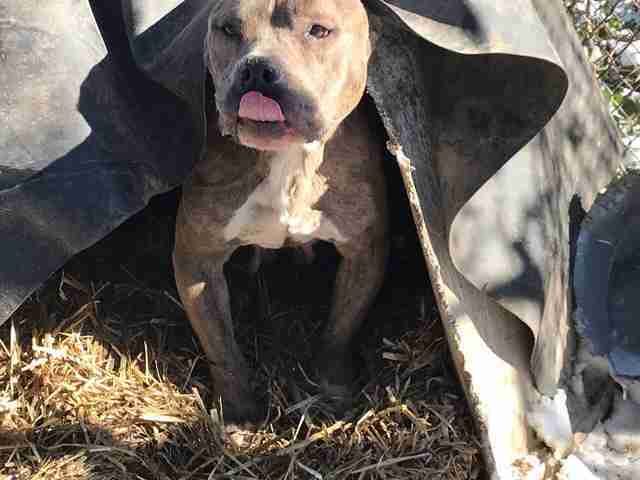 In addition to being about 20 pounds underweight, she had heartworms, mastitis and a large hernia on her stomach, presumably from giving birth so many times. With Grace, June no longer had to worry where her next meal was coming from — and it made all the difference. She started gaining strength and was soon able to start heartworm treatments, get surgery to remove the tumor and get spayed. 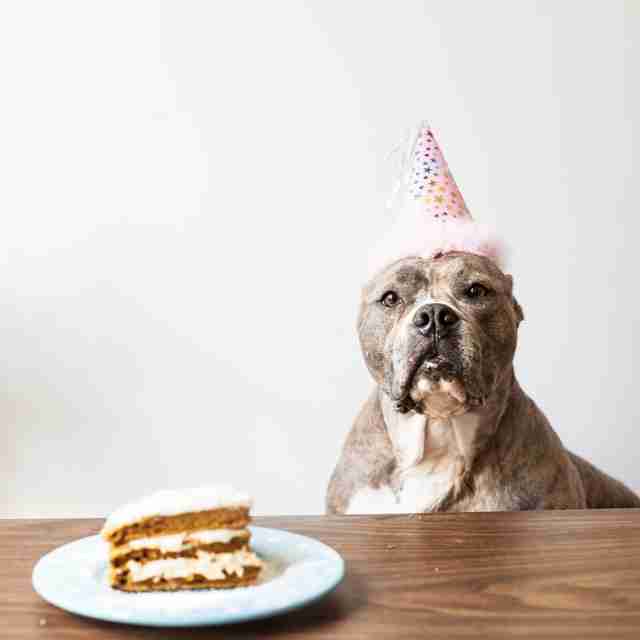 Although she had spent her entire life outside at the end of a chain, June had no problems settling into life indoors. She only grew worried when Grace or her husband took her outdoors. Soon enough, June was healthy — and her sweet-hearted nature just got sweeter as time went on. After living with Grace since February, June recently went on to a foster-to-adopt home where she is already fitting in well. The family has two pit bulls already and are experienced fosters. “They already consider June a part of the family,” Grace said. “They’re amazing people who saw past the way she looks. They immediately gravitated to her because of how gentle she is." 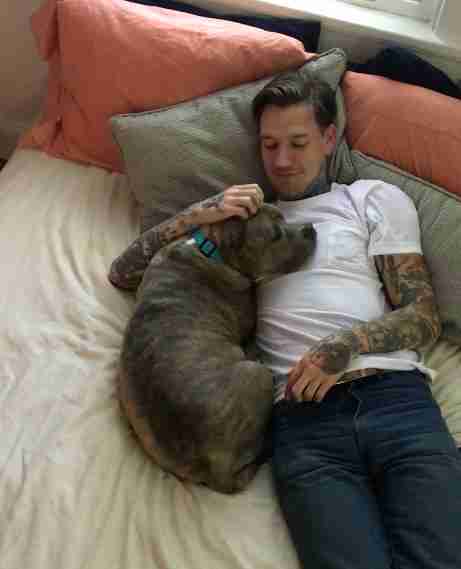 While June hasn’t been officially adopted yet, Grace is so glad to have seen her blossom into the dog she was always meant to be. 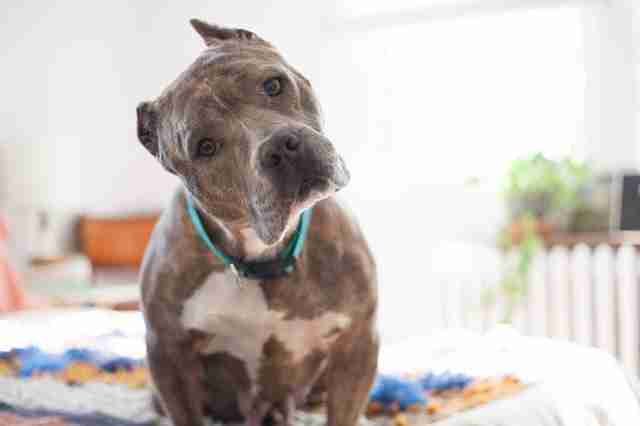 To help more dogs like June, you can make a donation to Gracie’s Guardians.